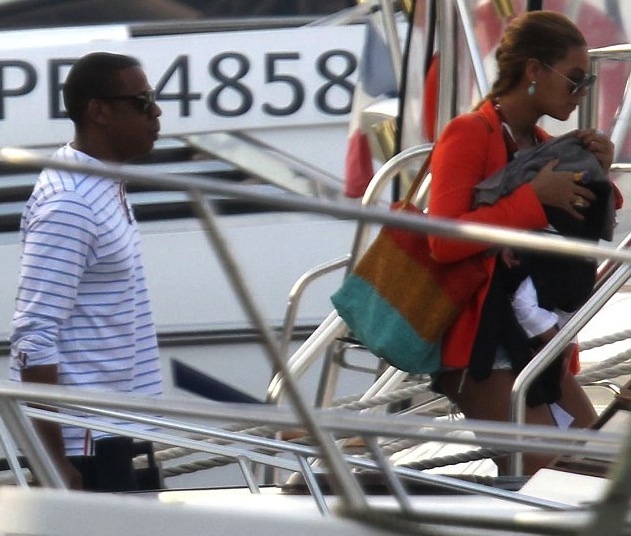 Baby Blue Ivy is only three months old and she's living better than most people I know... shoot even better than a few celebs. 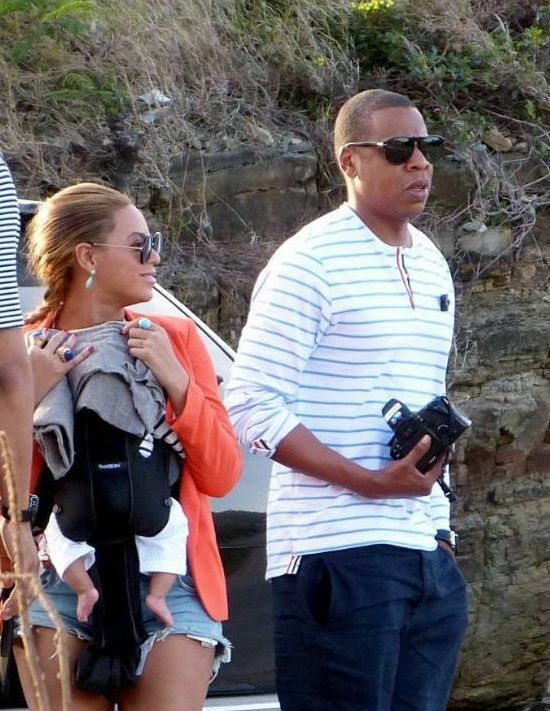 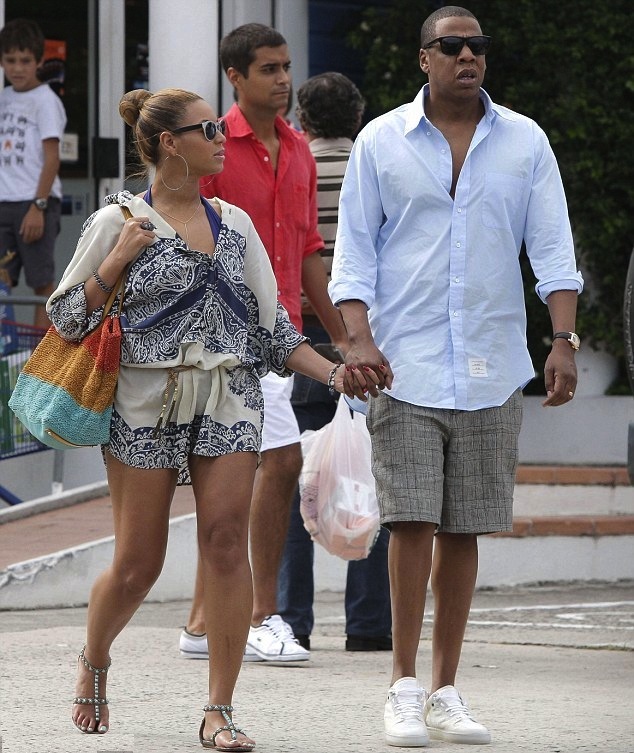 A few days after their wedding anniversary, Beyonce and Jay-Z were spotted in St. Barts with Baby Blue. Jay was sporting a professional camera, probably to make sure he captures the baby's first vacay. Bey kept Blue Ivy covered with a blanket while they were out for most of the trip. 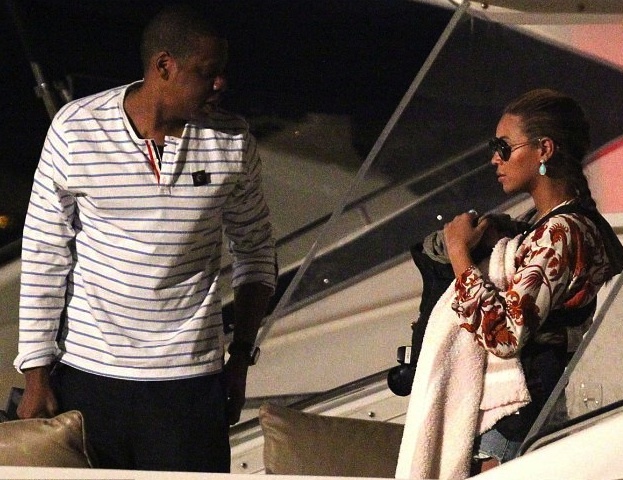 I swear the day she removes that blanket, it'll be like Mufasa and Simba on the Lion King.